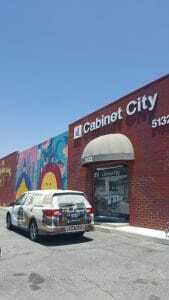 Cabinet City, a leading Los Angeles distributor of kitchen cabinets and home improvement products, is celebrating its 20th anniversary this year. Unsurprisingly, we have made it a year to remember with an amazing new release and beautiful updates to our showroom. When Cabinet City was founded by husband and wife team Kenny and Lisa, it was with only Honey Oak and Square Beech styles available–we now offer 7 solid wood styles and 6 European. 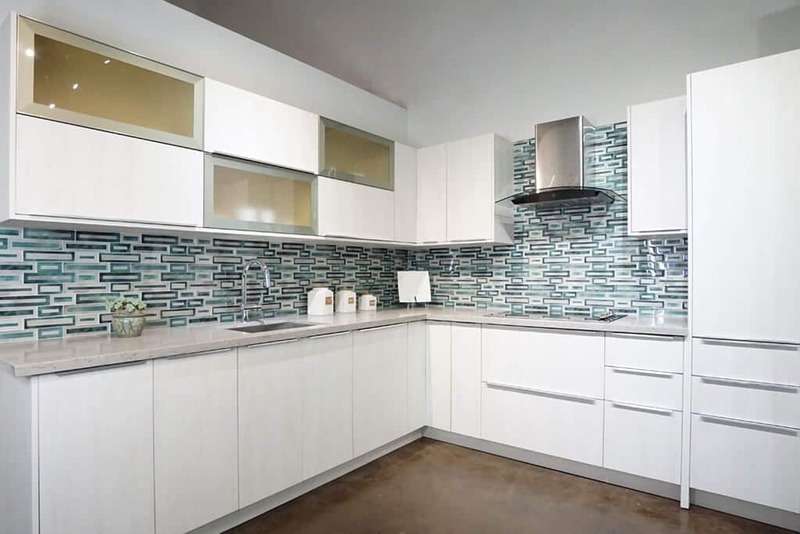 As of 2003, we were selling over 1,000 kitchens annually. In 2008 we introduced the universal cabinet body as well as a variety of improvements to cabinet hardware and boxes. In 2012 we introduced our first premium style cabinet, American Walnut, and began exhibiting at KBIS. In 2013 we introduced our one piece seamless door construction to rave reviews from customers. We also reinvented the White Shaker cabinet style, bringing its rich tradition to the present. In 2014, we began production of Euro style flat panel kitchen cabinets with our famous Milan and Cocoa styles. As of 2016, we exceeded 3,000 kitchens sold annually. Our legacy so far is one any business would be proud to hang their hats on. Each year we are rewarded by the care and quality we put into the kitchens we design for our customers to love for decades. But we’re far from finished. Cabinet City is invested in our neighborhood and our community. In 2013 we moved to our brand new 9,000 sq ft showroom beside our warehouse to increase our delivery and production speeds for our valued customers. Business has never been better, and our appreciation for the constant positive feedback from our customers grows daily. This year we partnered with the artists of Polar Bang Bang to add a new visual dimension to our San Gabriel location. A series of murals now runs along the entirety of our street-facing facade, bright and fun images for the whole neighborhood to enjoy. You can one of them in the image to the right, behind our brand new company van. Speaking of that van, we recently ran a fun and engaging Amazon gift card giveaway for San Gabriel locals who happened to spot it around town! We also knew that we wanted to celebrate this year in the way we know best: serving up a beautiful new cabinet style. 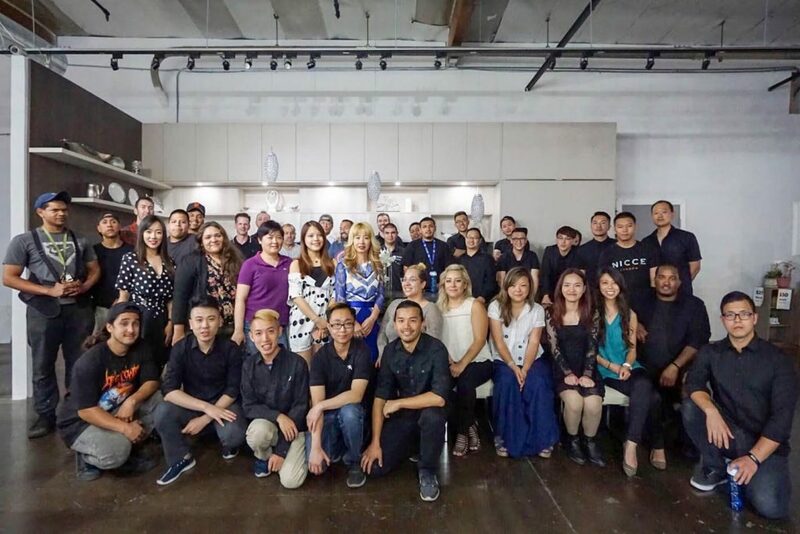 The introduction of our Bella line has been greeted with enthusiasm by fans of modern kitchens throughout southern California. From all of us at Cabinet City: We appreciate you, the customers. You’re who it’s always been about. And we look forward to another 20 years in kitchen design.